The Toronto Star’s undercover footage identified two breeders claiming to sell banned pitbull puppies, but was it fair to make the unaware breeders the faces of Ontario’s failed ban? 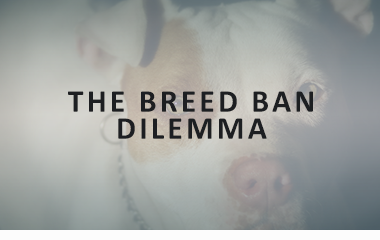 Since the Ontario government made changes to the Dog Owners’ Liability Act in 2005 to ban pit bulls, among other breeds, the approach has been polarizing . One perspective is that the ban is a reasonable response to a growing problem with violent animals. It’s a perspective that was supported by a Toronto Star investigation  and editorial in 2014 . The second perspective frames the ban as a gross misunderstanding of a problem created by dog owners, not the dogs themselves. Despite controversy, the ban has remained popular for the 12 years it has been in place. This was not the story that Toronto Star reporter Jesse Winter heard when the editor of the paper’s web desk looped him in on emails from some of the paper’s readers. The individuals who sent the emails were upset: Ontario’s ban on pit bulls was not working, they claimed, and breeders were secretly selling the dogs across the province. Within a day of Winter jumping on the story, Kevin Donovan, leader of the Star’s investigative team, was involved. It quickly became clear to Winter and Donovan that reporting the evidence available from online listings would not be enough to prove the ban was failing — Winter would have to set up meetings with breeders who were advertising that they had pit bull puppies for sale. Within a week, Winter made telephone contact with breeders and, using a cover story, had arranged to visit. Armed with a hidden camera and with two colleagues outside for safety, Winter visited the addresses of two breeders as a prospective buyer. At one breeder’s, located in east Mississauga, Winter was shown a bin filled with whimpering puppies and was confronted by two adult females — one snapping and growling at him (and his hidden camera). Winter also recorded his conversations with the breeder . Back at the newsroom the question became whether the faces and the identities of the breeders should be revealed in the article. On one hand, these were two men who were breaking a law by selling pit bull puppies. On the other hand, Winter and Donovan had no idea whether any harm would come to these completely unsuspecting men — including potential embarrassment and/or criminal charges — and weren’t sure how much value the identities would add to a story about the systemic failure of a ban. The breeders has also implicated two vets in the video – claiming that they too knew the dogs were banned but treated them anyways. Winter and Donovan had a decision to make: should the undercover footage be used to identify the breeders in the story? And what role would the follow-up interviews with the vets play? Jesse Winter. Interview done by Abby Plener. 2016. 4. When is Undercover Work Justified? 7. What to Show? What to Disclose?